Harlem – Week Of 8/4/08 – NYC R&B Vocal Groups! 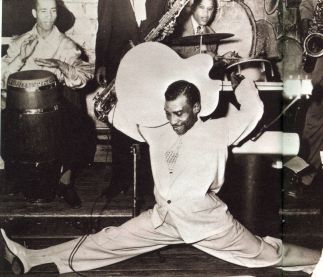 Harlem – Week Of 7/28/08 – T-Bone Walker! Harlem – Week of 7/21/08 – Floyd Dixon Remembered! Two years ago on July 26th, we lost one of R&B;’s most beloved and influential artists; Floyd Dixon. Bill Wax from XM’s Bluesville and Matt The Cat had the privilege to speak to Floyd only a few months before he died. This week, “Harlem” looks back on the amazing career of Floyd Dixon with many of Floyd’s stories told in his own words. From the original “Hey Bartender” (covered by The Blues Brothers) to “Dallas Blues” and “Call Operator 210”, Floyd was a blues original. His story airs this week on “Harlem”.